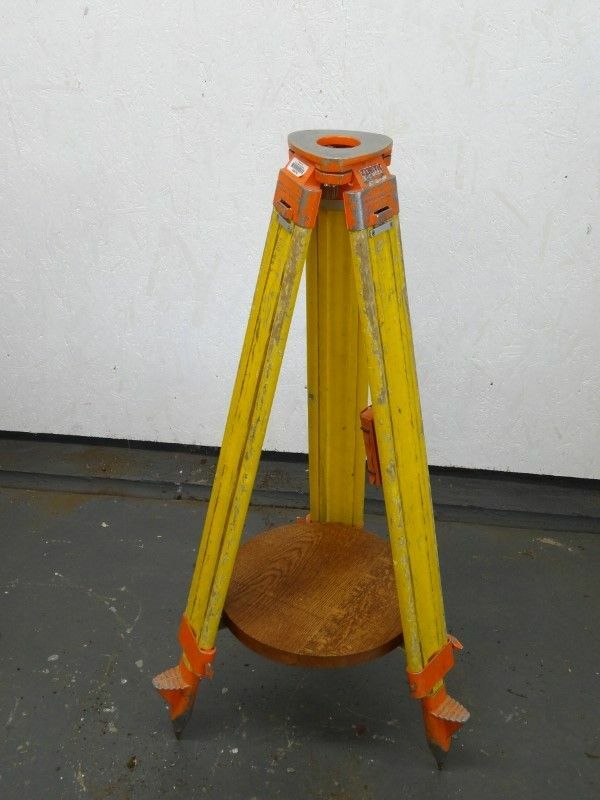 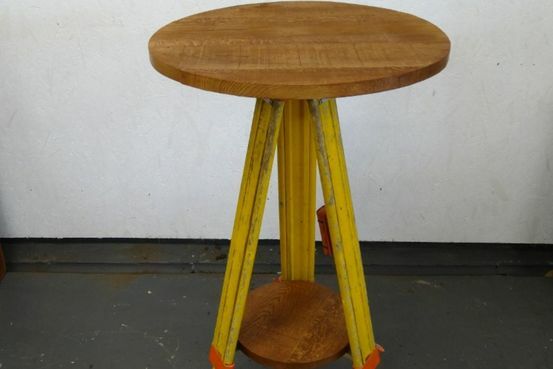 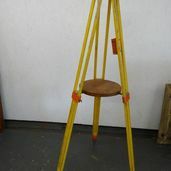 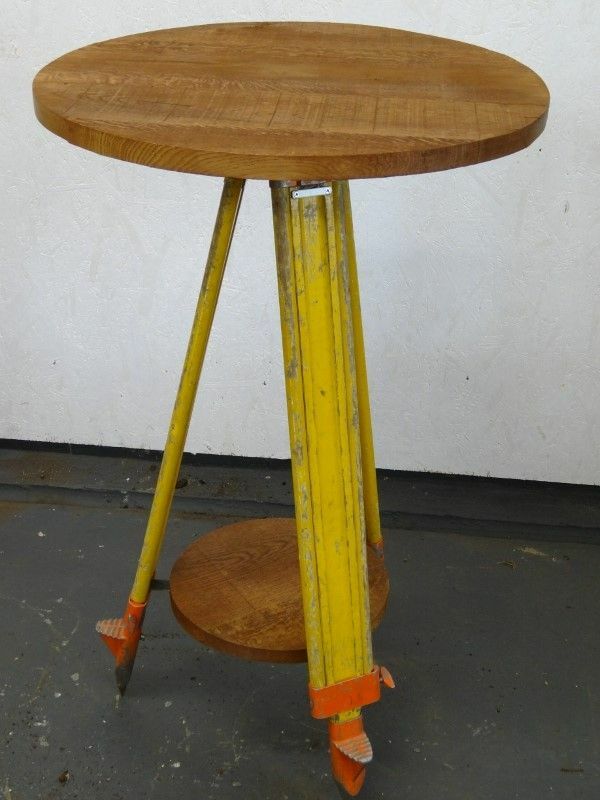 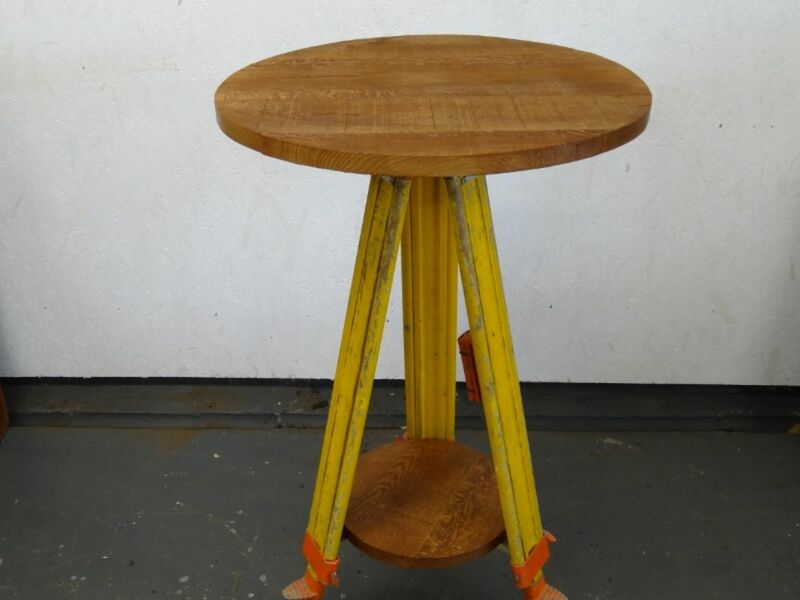 Theodolite Table/Lamp Stand. 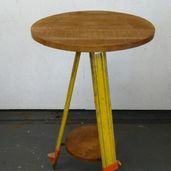 26” (66cm) diameter, 43” (109cm) tall. 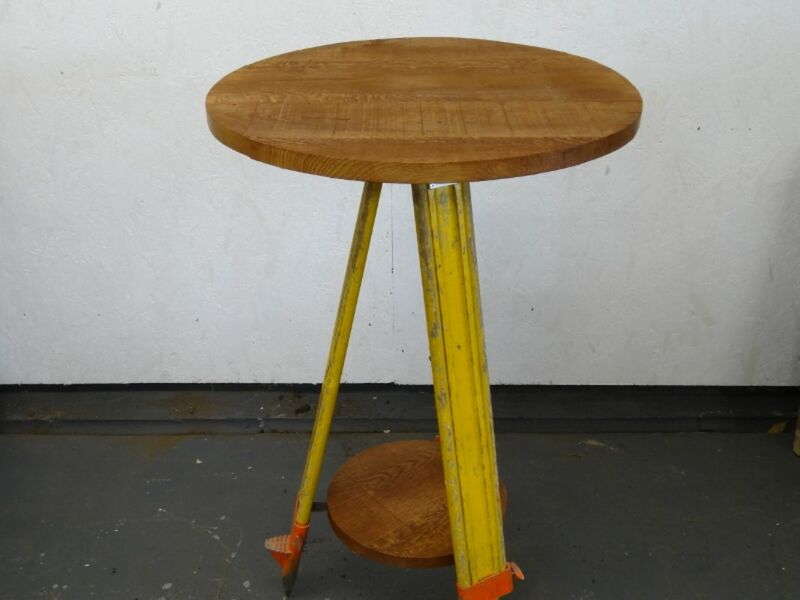 Lower shelf 14” (36cm) diameter. 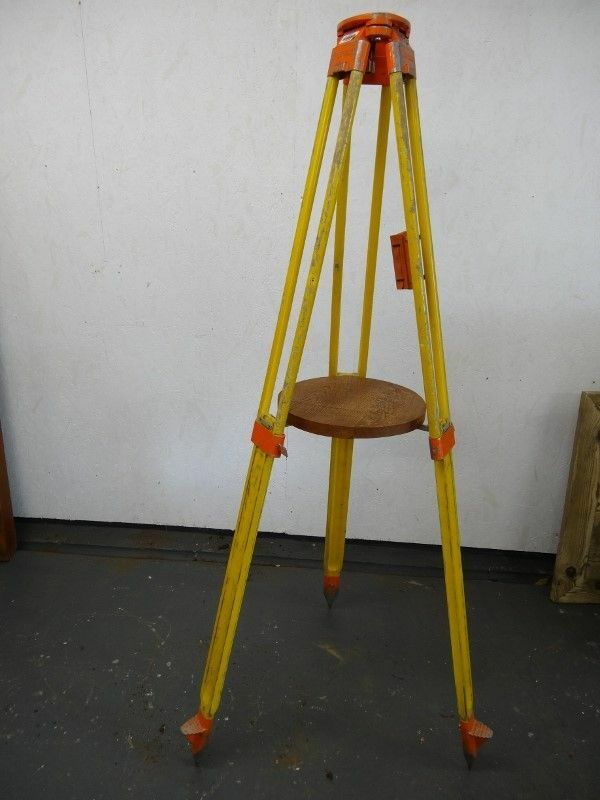 Wood and aluminium theodolite in its original yellow and orange paint. 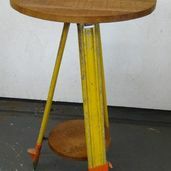 These can be extended in height to 70”. 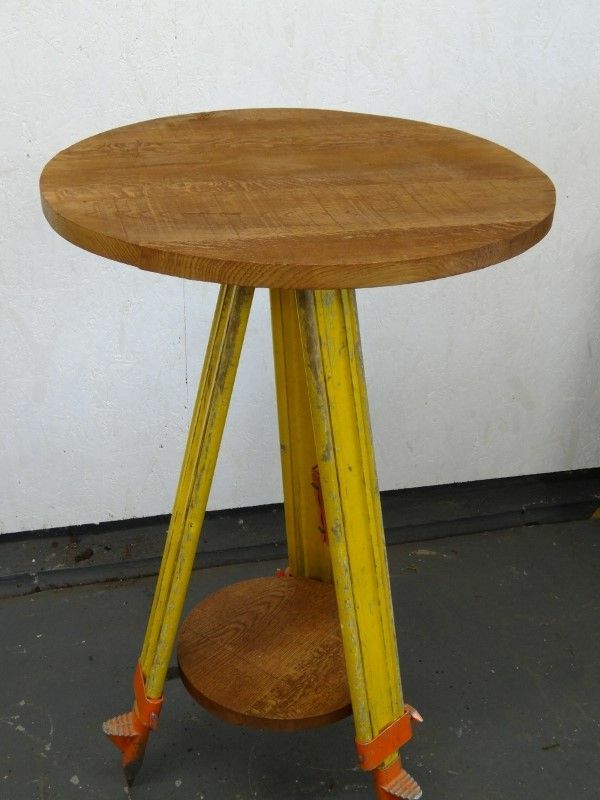 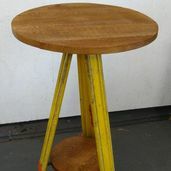 We have several of these in stock, and we would be happy to cut one down to a specific height if you would prefer. 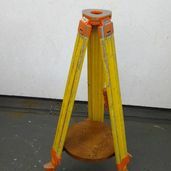 We can make the tops to the size you require, or they can be adapted to be standard lamps.